Caption - The Polish State Railway (PKP) system used to include many narrow gauge lines. These were delightful often with quite long trains even in the 1970s. Mostly they were well-patronised too. 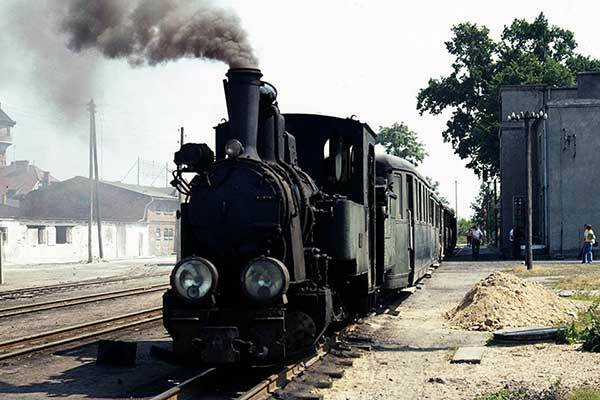 This image shows 0-4-0 T2.71 at Lobzenica and was taken on 9th July 1975.